Been travelling around the state doing workshops so I've been absent for some time here. 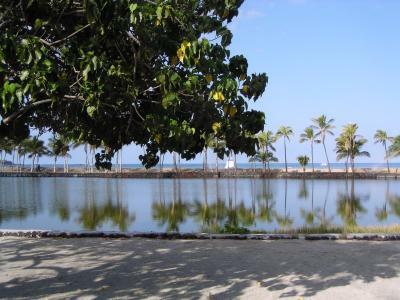 In a quiet moment on the North Coast of the Big Island of Hawaii I saw these scenee. My apologies to my snowbound and frozen friends up north. First something educational which really shows off the crystal clarity of the water in the ponds. 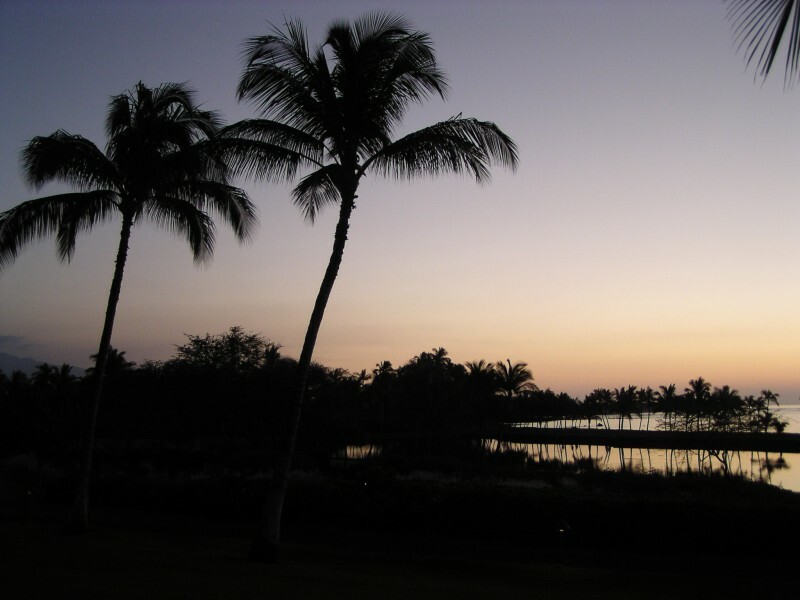 and finally a photo at dusk overlooking these as well as the Royal Fishponds used during the height of Hawaiian Monarchy. I like the third one most because of the silhouettes. That third photo is special. In particular, there's something about those two trees--maybe it's the way they're leaning--that makes it look as if they'd just strolled over to have a look at the sunset. A couple of friends enjoying a quiet time together. Personally, I view the 3rd shot, although nicely done, as just another silhouette sunset. The 2nd shot, however, is unique and (with the exception of some blown highlights) well done. Interesting, I found the second quite busy, with no center of interest to draw my eye. Yes, it is busy...which is exactly why I kept looking at it and the more I looked, the more I found interesting. Folks, thanks very much for your comments. O'Henry, I am inclined to go along with your comments especially about the blown highlights. This is another case of having to take the picture at probably the worst time, close to noon. But the crystal clear reflections were like a magnet to any photographer and it was now or never - maybe next year. Barbara, like you the two trees captivated me and I actually took several shots in the rapidly fading light but kept coming back to the trees even tho it was a relatively pedestrian shot as O'Henry noted. Again, thanks to all for their comments. Selvin, I hope you didn't misunderstand my comment on the silhouette shot. I think it is a very good shot, just that I've seen so many "setting sun in the ocean" shots and my attention was directed toward the reflection shot. No offense taken, I think my choice of the word pedestrian was too strong to summarize your statements. These are the silouehetted ponds during the day. 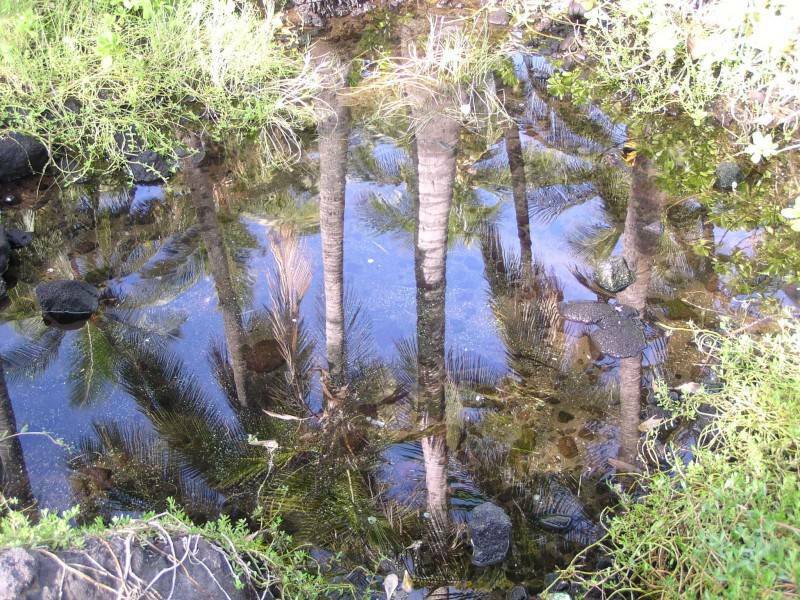 The Hawaiians were very adept at fish farming back then. 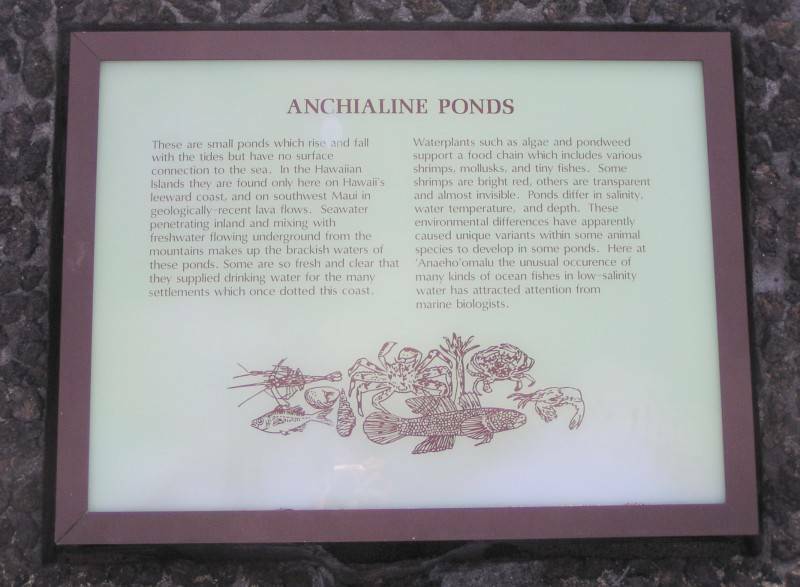 The fish would enter the ponds from the ocean during high tides and a gate would be closed to trap them in the ponds. There they would be raised for future eating.